Go beyond the basic protection with umbrella insurance from Ion Insurance of Connecticut. Looking beyond your basic insurance options, you should be considering personal umbrella insurance. Most individuals and families think their basic policies will cover them in all situations; however, often enough your broad policies will strand you searching for quick solutions, especially if you are found to be negligent. Ion Insurance can help you determine if you need a personal umbrella policy. 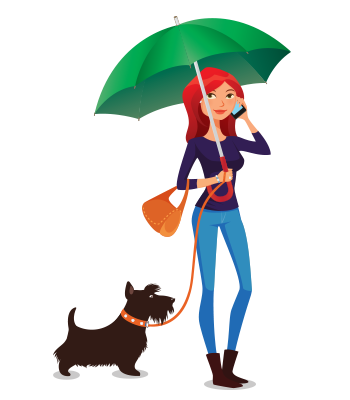 Personal umbrella insurance is meant to cover you – and your family – no matter what happens. That is why it is called umbrella insurance: it hovers above, covering you from the elements. Liability issues are endless and it is impossible to determine what could cause someone to present you with a lawsuit. Basically, umbrella insurance policies protect you from liability issues that go beyond the liability limitations of standard insurance policies, such as your homeowners insurance, car insurance, etc. This policy literally puts you under its umbrella so that when you exceed the liability coverage limits on an insurance line, you will still be protected. Umbrella insurance extends the limits of liability coverage to not only provide additional coverage for bodily injury and property damage, but also to cover things that are not listed under regular liability allowances. Each policy is different, so something may be considered a covered liability issue under one insurance line but may not be covered on another insurance line. Your umbrella policy kicks in when these situations present themselves and/or you exceed the amount of liability coverage for the events that are already allowed under your regular insurance policies. You may not think you need an umbrella policy, but consider this: What happens to you and your family’s assets if you are sued for something that occurred at your home and the legal costs of the lawsuit greatly exceed the liability coverage defined by your home insurance policy? Who will be responsible for paying if you cause a multi-car accident and your liability costs extend the limits on your auto insurance by thousands of dollars? Although these types of events may be rare, you cannot be too careful. Umbrella insurance is typically purchased at a low cost to you, but will provide enough coverage that you shouldn’t have to be concerned with liability costs in the future.